Do you know all the hidden costs in owning an aircraft? 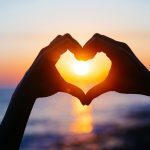 Should you truly be an owner? Is saving money more valuable than consistency in aircraft and operator? Answering questions like these are some of the many things you should address before deciding to purchase an aircraft. Fortunately, Magellan Jets offers everything you need to know in our free whitepaper “How to Buy a Jet” . It is quite rare to have the top minds in finance and business all in one room at the same time. Hence, why there are conferences each year meant to do just that. Everyone from fund managers and thought leaders to political figures and entrepreneurs come together a couple times a year to discuss the challenges facing the global economy. These are the top events that hedge fund investors need to be at in 2016. Takeoffs and landings can often be the most scenic parts of the flight. However, the best views come at a price as they have some of the most nerve-racking starts and finishes to your trip. 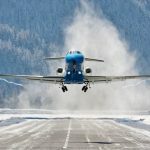 For those who love flying, these 4 airport runways should be on your bucket list, but for those who get a little uneasy in the air, you probably want to avoid flying into these locations. 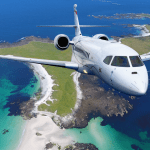 The Olympics games get underway August 5th and Magellan Jets, a Massachusetts-based jet card seller has created a 20-hour membership using a Gulfstream G450 designed to cover the flight time needed to cover the roundtrip US-Brazil journey. Read the full article below. Researching and booking private travel by yourself can be a daunting task. Without much industry knowledge, the research that goes into it alone is almost enough to scare you away. Thankfully, there are private jet companies who can focus specifically on making your travel process safe and seamless. They may even find you some personalized perks and benefits you didn’t even know were available. 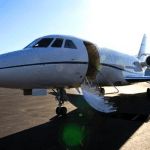 So why should you use a private jet company for your travel needs? Flying Private is all about the feel of personalization. One of the many ways Magellan Jets creates that feeling is through our jet-specific membership programs. Earlier this week, we explored five of our jet-specific memberships available to our customers and today we take a look at our next lineup of membership jets. 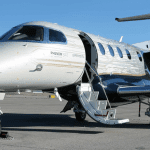 Jet Memberships: What Are Your Aircraft Options? Flying private is an experience that is much bigger than simply a way to travel. Membership companies are finding new ways to offer customizable perks and benefits to personalize every aspect of private travel. One of the many ways Magellan Jets is elevating the private travel experience through personalization is our jet-specific membership programs. Ten different aircraft are available for our members to have consistent and ready access to the quality of aircraft they paid for or better. 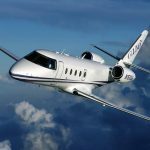 In the first installment of our two part series this week, we will take a look at five of the aircraft options offered to Magellan Jets members. Some opportunities are just too good to pass up. Take advantage of the holiday overalp of Presidents’ Day and Valentine’s Day this year! This February we have the added convenience of a long weekend thanks to Presidents’ Day falling on Monday, February 15th. Use this long weekend to celebrate with your love in a fun, far away destination. Don’t miss this chance, because it won’t happen again until 2021! Magellan Jets was recently featured in the Gothamist Getaways article, “16 Travel Essentials for 2016”. We looked into some other options when it comes to streamlining your travel experience both on ground or when airborne. Magellan Jets Announces a 10 Hour Jet Card Designed for College Tours Leading Private Jet Charter Company Continues to Support Education by Alleviating the Stress of Finding the Right College Campus BOSTON, MA – May 1, 2014 – Magellan Jets knows that this is a very hectic time of the year for clients with children deciding on which college to attend, as the best way to learn about a college is to visit the campus. Researching jet cards lately? Investigating the web for the best program provider, looking into what each company has to offer, and finding yourself overwhelmed with information? There are several leading companies that offer jet card programs, and like any investment, you want to do your homework before chosing the right one for you. 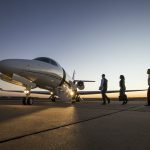 The Future of Aviation Starts Here: You Build It, They Make It Magellan Jets announced the launch of their latest cutting-edge technology platform, the customizable ‘Build-A Card’ tool. The first ever online program that will allow clients to address their own private travel concerns with one simple device. The concept behind the platform is to help alleviate the burden of shopping around for a solution to customer’s private aviation headaches. 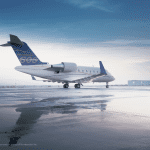 In today’s charter market it can be difficult to find a jet card provider that can fulfill every traveler’s specific needs. But with the Build-A-Card’s next generation technology it is now possible to assemble that solution with four easy steps right online. The Ultimate Football Tailgate at 36,000 ft! Now that football season is in full swing, start it off with a 25-hour Jet Card and the ultimate tailgate party at 36,000ft. You will not be disappointed. No matter what city your favorite team is playing, Magellan Jets flight support team will get you and your guests there seamlessly. On game days your cabin can be outfitted with your favorite team colors, logos and swag to really get in the spirit! The experience starts as soon as you arrive to the airport. The Ultimate Father’s Day Gift! 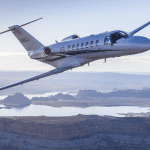 Magellan Jets Announces: 5 hour Cards for Father’s Day Private Jet Industry Leader Turns Dad Into A Jetsetter This Year What: This Father’s Day, give your Dad the gift of time with Magellan Jets’ special 5-hour card. Magellan Jets’ offers the 5 Hour Getaway Card, the only one of its kind in the industry exclusively for Father’s Day. Doesn’t Dad deserve the simplicity and flexibility of access to a private jet anywhere in the US with as little as 10 hours’ notice?